With so many gun laws varying from state to state, it can be tricky keeping track of and navigating the gun laws of your own state. Fortunately, Ohio only has a handful of gun laws you’ll need to know about in order to be a responsible and law-abiding gun owner. Getting your hands on a gun in Ohio is pretty straightforward, especially when compared to states like California and New York. No permit is required to buy a handgun in Ohio, and there is no waiting period between when you pay for the handgun and when you can take it home with you. There are some basic rules before you can just pick out your favorite type of Glock and take it home though. Of course, if those 3 steps are still too much for you, you can always buy a handgun from a private seller, and avoid the background check. Even if you meet those basic requirements though, there are still some situations that would prohibit you from owning a firearm in general. Adjudicated mentally incompetent, have been committed to a mental institution, or have been found by a court to be mentally ill or involuntarily committed to a mental institution. If none of those situations apply to you, then you’re good to go! Find your nearest local gun store and pick out your shiny new toy! Some bad news. The state of Ohio treats antique and replica firearms the same as any other firearm, which means all the rules on purchasing and owning them apply just the same as they do any modern gun. Sorry. While you’re out buying your handguns, you might as well pick up some long guns to keep them company. Fortunately, the rules on purchasing long guns aren’t much different from the ones for handguns. Just like with handguns, if you decide to buy your long gun from a private seller, you can avoid the background check. But they should still check your ID and make sure you’re at least 18! Don’t worry, kids! Even if you don’t meet the age requirements for buying a long gun or handgun, you can still use either type of gun, as long as it is for hunting (with a permit! ), participating in a shooting event, or while attending a hunter’s safety or other type of firearms course. 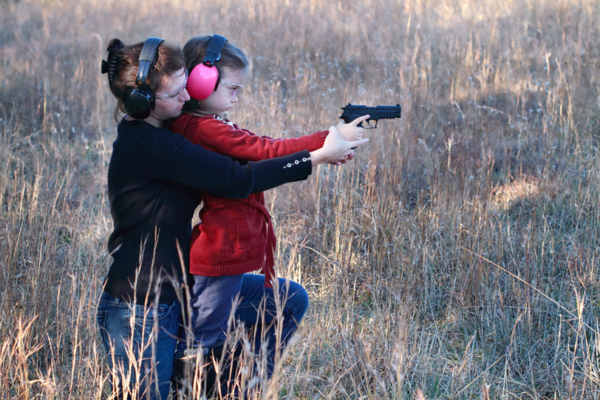 Never too early to start learning gun safety! Where can you carry your gun? Once you’ve got your firearms in hand, you still need to be careful! Ohio does not prohibit open carry of firearms in most situations, but you should still be careful where you bring your guns. Typical places where open carry, and even concealed carry, is not allowed, are places like courthouses, police stations, detention centers, and any government building or property in general. Basically, if there are metal detectors you need to go through, you probably should not be trying to bring your guns with you. One other place firearms are not allowed is any place where liquor is sold. If you’re heading to a bar with your friends, you should lock up your handgun in your car safe, and pick it up after you leave (sober!). Ohio does allow gun owners to carry concealed, but only with a valid CCW permit. 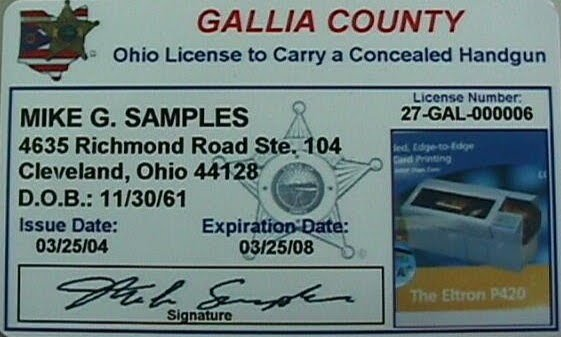 The process itself has additional steps beyond the ones required to buy a gun, so for those of you interested in getting a CCW permit, hop on over to our Ohio CCW section after you’ve finished here to find out the extra requirements and laws you’ll need to be careful of when carrying concealed. 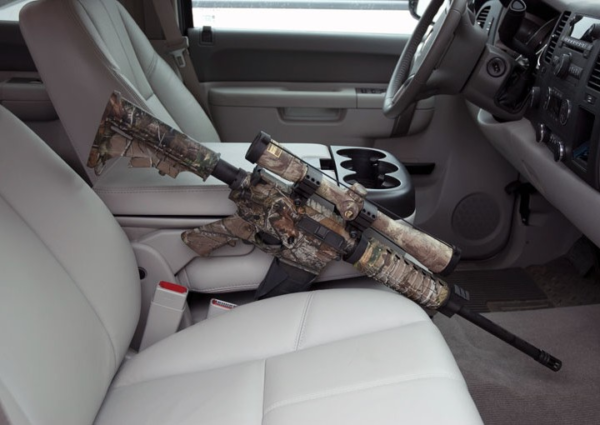 When you’re not carrying your firearms around town, there are a few rules to keep in mind for transporting your guns in the car. 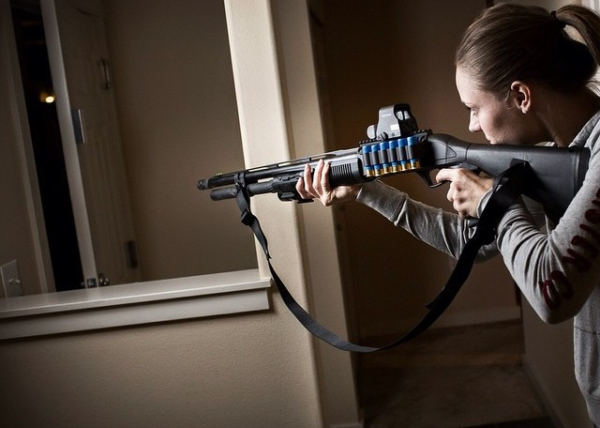 In plain sight, with the action open or the weapon stripped, unless the action will not stay open or cannot be easily stripped (this option only applies to long guns). In plain sight, but you need to lock that action open and keep it unloaded! 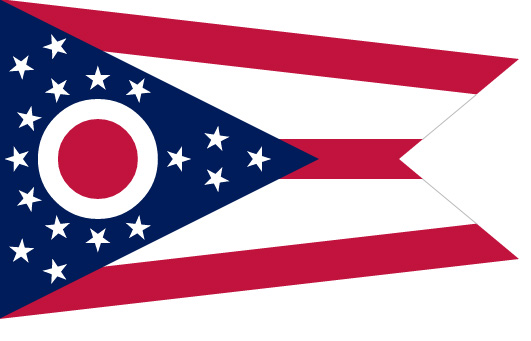 And because it’s Ohio, there’s a special law just for the Buckeye State. It is illegal to discharge a firearm in, over, or within 100 yards of a cemetery, unless you discharge the firearm while on your own land. Not really sure why you’d be shooting near a cemetery in the first place, but apparently it was a big enough problem that it had to be written into law. Stay away from cemeteries and stick to approved shooting ranges! Whenever you need to! Sort of. Ohio has laws on self-defense, but only when you are at home. The law, commonly referred to as the “Castle Doctrine”, allows you to use deadly force if necessary, to defend yourself or others, while at home, aka, your “castle”. Specifically, you can use deadly force against someone to defend yourself or another person if someone is in the process of, or has already illegally entered a home or occupied vehicle where you are. Our observant readers will notice the law allows for you to defend yourself in a home or occupied vehicle. So if you are in a car and someone breaks into it, you can use deadly force to defend yourself in that situation. If someone breaks into your car while it’s sitting in the driveway and you see it from inside your house, you cannot use deadly force to defend yourself, because you are not under threat. No one wants to have their car stolen, but the law does not allow you to kill someone just because they are trying to steal your car. It is also important to keep in mind that you must be legally allowed to be in the house or vehicle yourself. If someone breaks into your house or your parents’ house (assuming your parents are ok with you being in their home), then you are justified in using deadly force to defend yourself, but if someone breaks into the same house that you broke into 5 minutes earlier, then you are not justified in shooting them, and may also need to rethink your life choices. There is another doctrine of self-defense many states have adopted, known as the “Stand Your Ground” doctrine. This doctrine, which got a lot of attention from the Trayvon Martin shooting in 2012, basically says that if you are outside your home, but somewhere you are legally allowed to be, you do not have to retreat to safety, and can use deadly force to defend yourself. Ohio does not allow you to “stand your ground” when you are not in your home or occupied vehicle. If you are out on the town, have your firearm with you (which you always should! ), and encounter a situation where you may need to defend yourself or retreat to safety, you cannot engage the threat, under Ohio law, and must instead choose to retreat. Even with all these laws on self-defense, you should always use your best judgement to decide what type of force is appropriate. Just because you are allowed to use deadly force doesn’t mean you have to. Taking any life is always a serious decision, and may not always be necessary in order to end a threat to you and your loved ones. And on that happy note, we’re done! You now know everything there is to know about gun laws in Ohio! Well, except for the concealed carry laws. But we’ve got got you covered with our Ohio CCW section, so go check it out! If you don’t need to know about the concealed carry laws just yet, that’s ok too! You can work on your gun collection instead! You might want a nice safe to keep all your new toys though. A sturdy safe can also keep your guns from prying eyes and curious kids. If you want to start smaller (for some reason), a gun cabinet, or even just a decent handgun safe may be a good investment, so all those rifles can have a quiet place to rest after a busy day at the range. Now go out and pew pew!